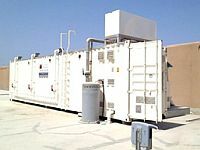 Aerobic SBR’s (Sequence Batch Reactor) are unique activated sludge configurations. 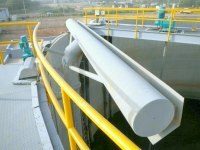 SBR is distinguished by the repeating sequence of fill, react, biomass settling, and effluent withdraw which all occur within one tank. 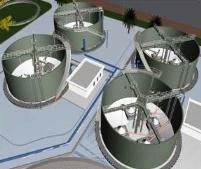 Advantages of SBR’s in comparison to conventional activated sludge include elimination of final clarifiers and return sludge pumping; ease in making operational changes to fine-tune nutrient removal; ability to hold and test treated wastewater before release; and flexibility in adjusting reaction times and tank volumes to meet variable loadings. 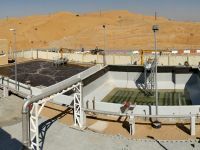 The MENA-Water SBR system performs biological treatment according to the extended aeration activated sludge process, requires a small area and has an economic operation with low energy consumption. 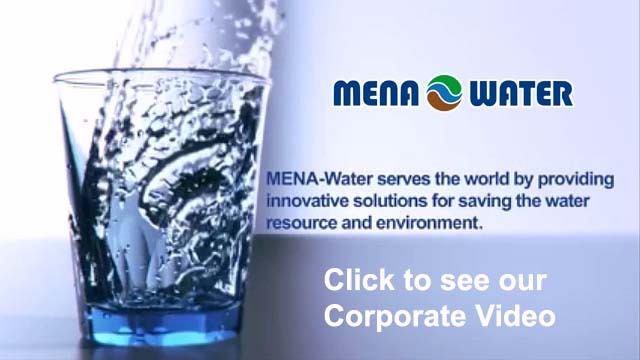 MENA-Water SBR systems are available in various capacities and can be applied at different places.